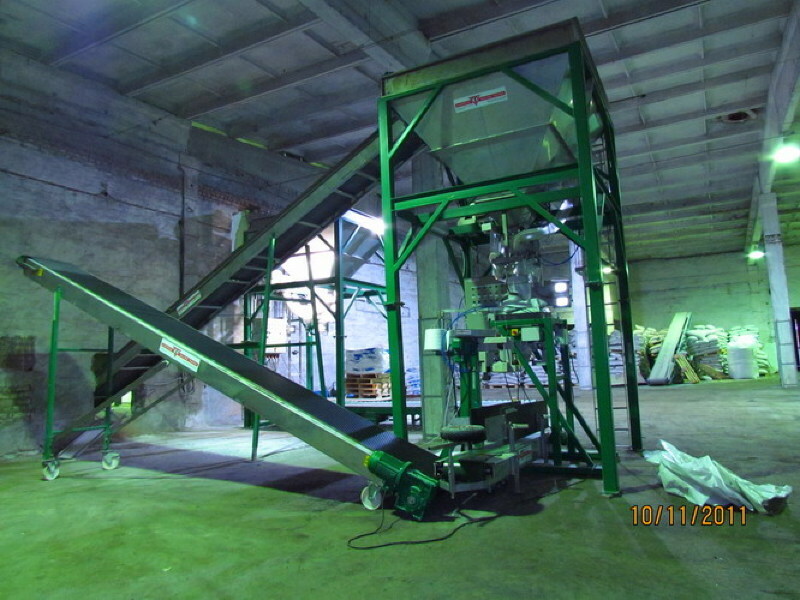 Big bagging machine and hopper support in the same construction frame. 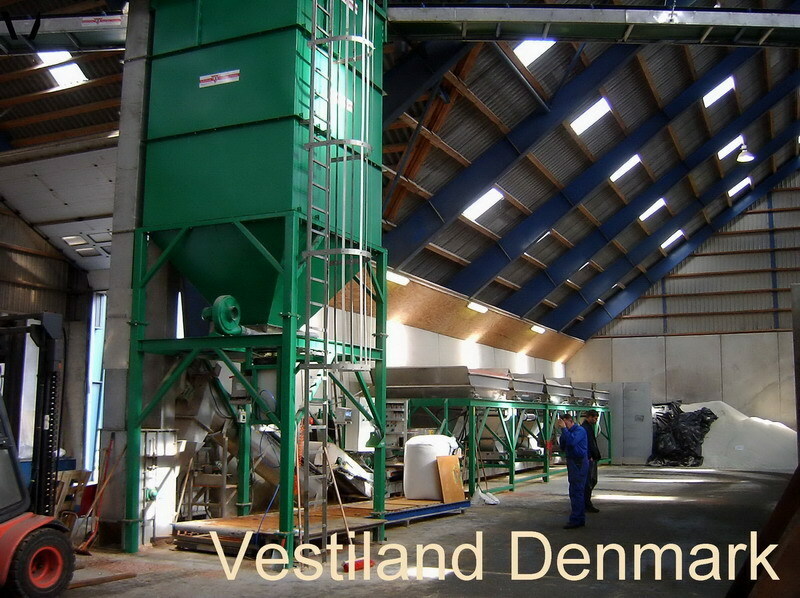 Capacity 40 ton per hour with bags of 1000 kg, or 50 ton per hour with bags of 500 kg. Availabe in stainless steel or normal steel. Suitable for powder and granular materials. 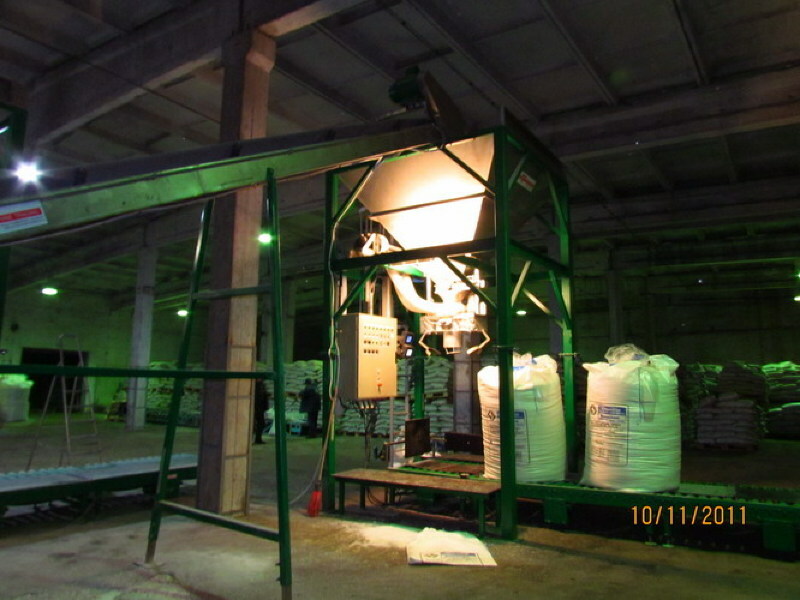 The big bag Economic is constructed to fill FIBC bags (Flexible, Intermediary, Bulk, Containers). 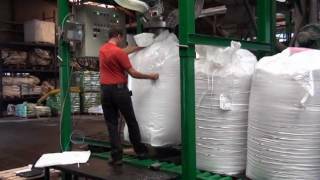 The machine automatically weighs and fills bags of 100 to 1250 kg. 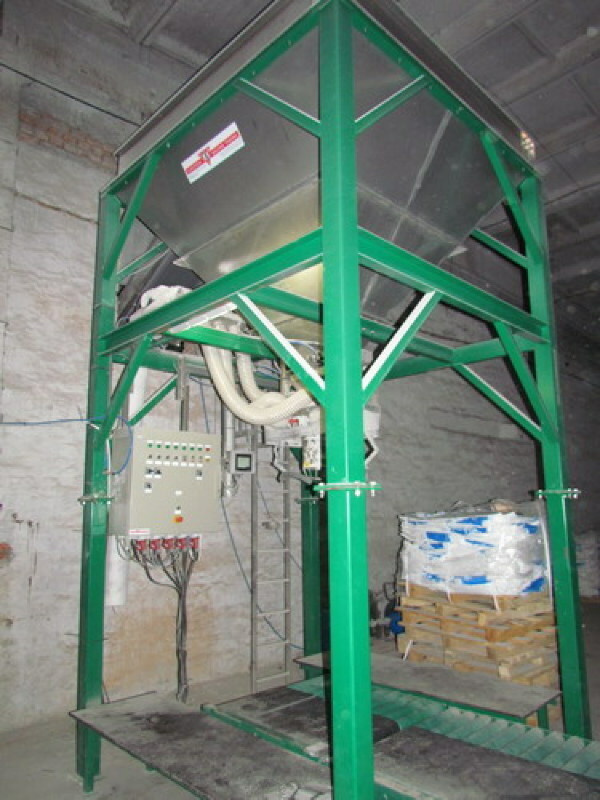 This machine is suitable for powder and granular materials. The storage hopper stands on 4 H-profile legs. 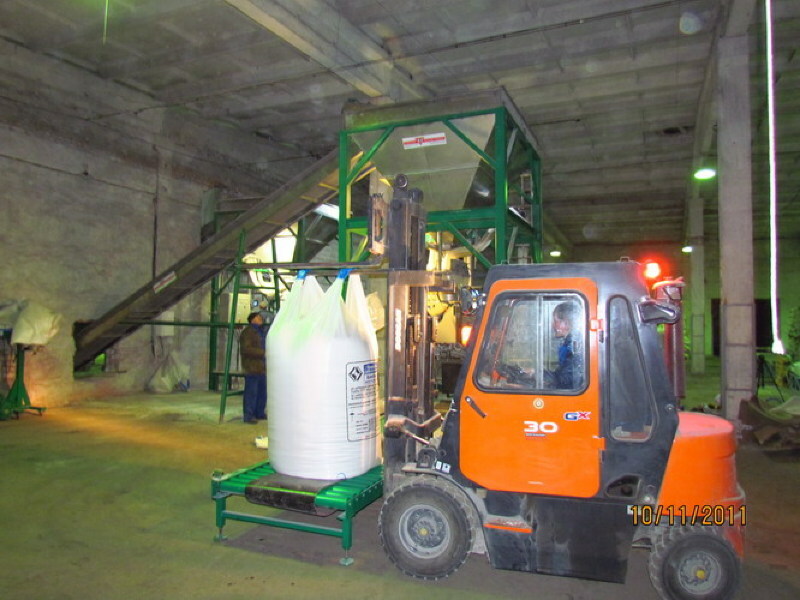 The materials are put into the storage hopper. A pneumatic valve has been mounted under the storage hopper. This valve has a large and a fine opening. The hopper unloads into a stainless steel pipe that fits into a big bag. 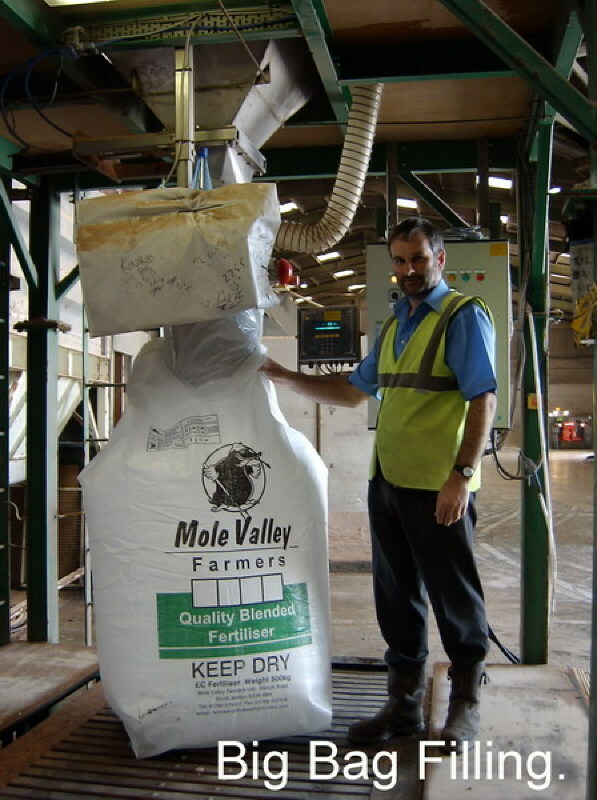 The big bag is standing on a platform or roller scale on the floor. The height of the filling pipe is adjustable over a length of 400 mm. 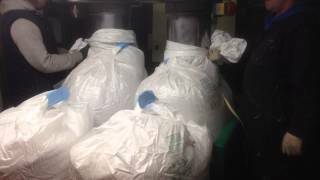 The big bag must be held up and manually closed around the filling pipe. Before the filling process starts, a blower will blow air into the bag. When the bag has its full size, the materials flow into the bag. 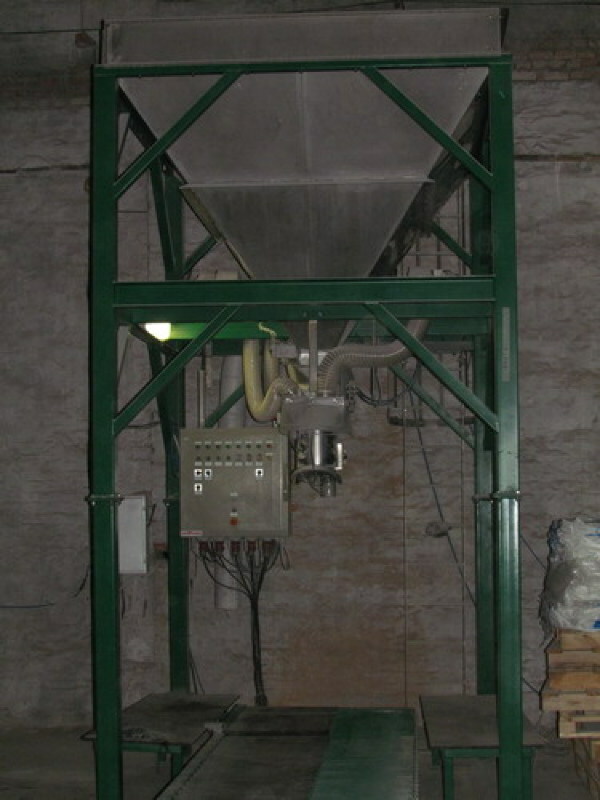 The platform or roller scale will determine the weight of the product. 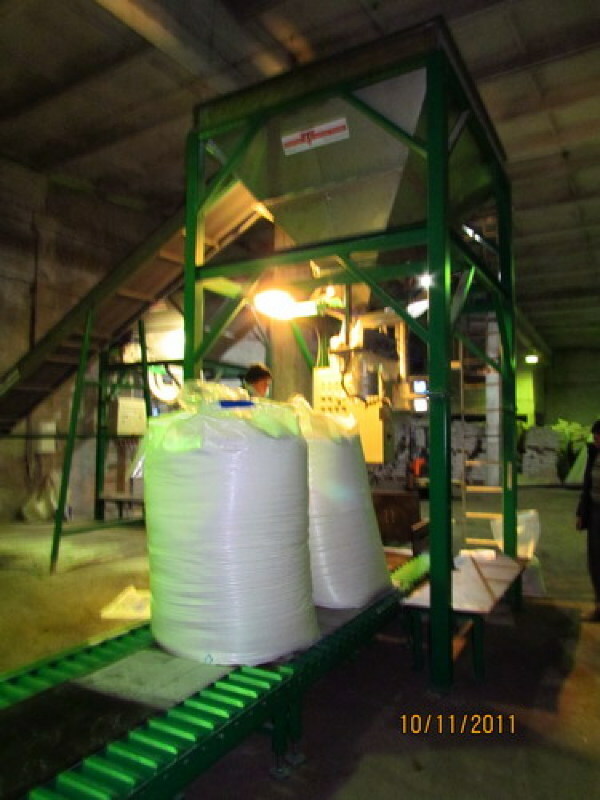 When the bag is full, a roller conveyor transports the bag away from the filling pipe. The scale system works with a weigh indicator of Avery Salter Weightronix. The whole unit can be operated automatic or manual. 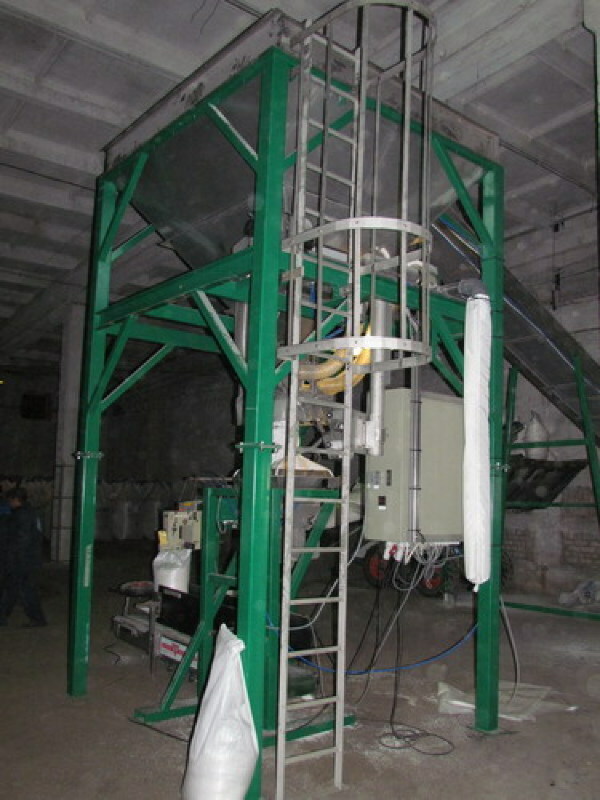 The machine is available in different set-up possibilities. 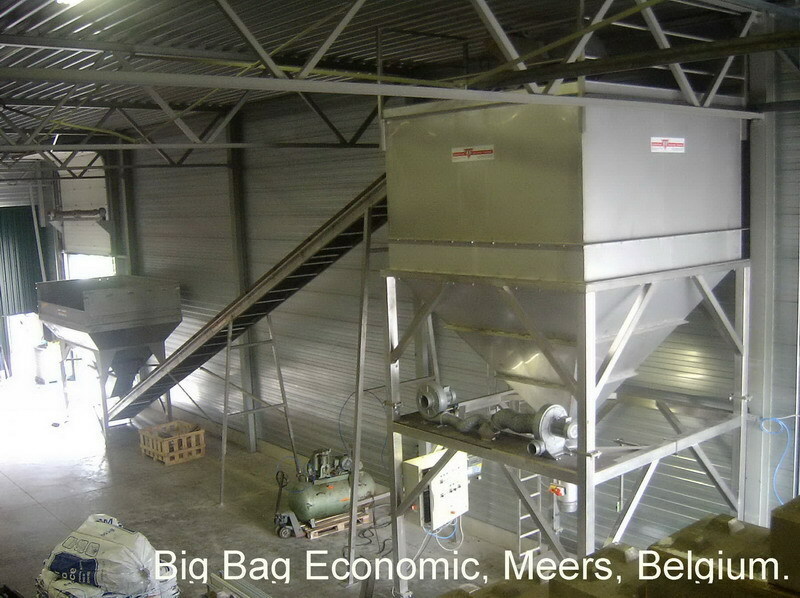 The big bag Economic is a fixed machine with a storage hopper above it. 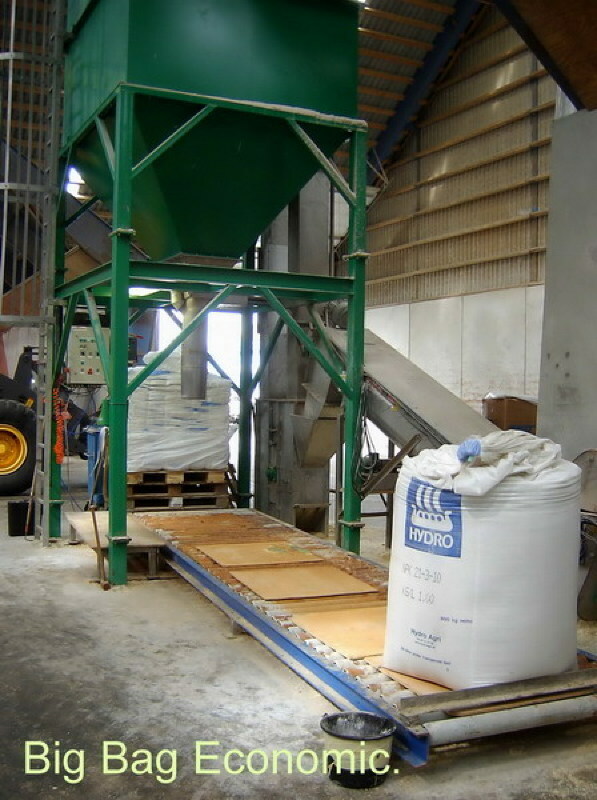 The storage hopper filling volume is depending of the machine set up from 6 till 16 ton. 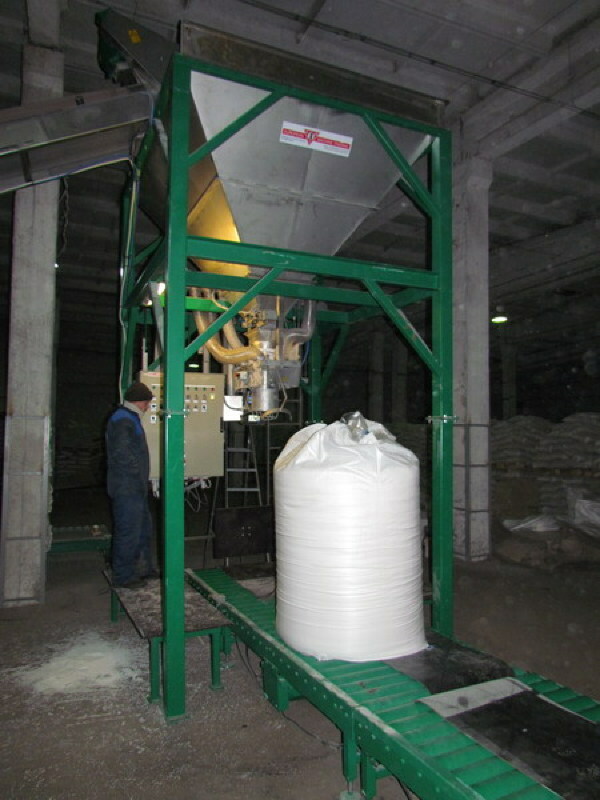 An alternative is to install the machine under an existing hopper of the customer. 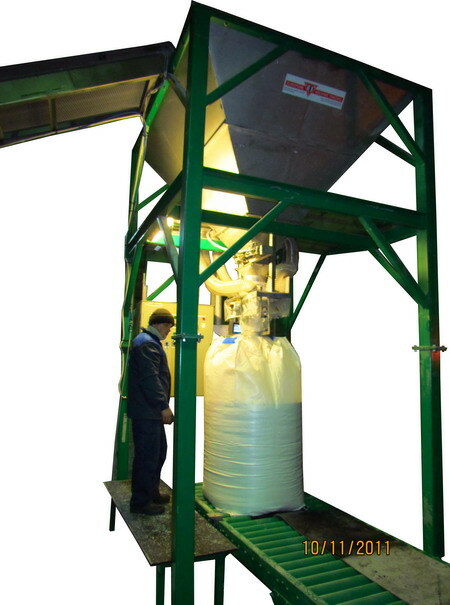 The capacity of the system is 30 ton per hour with big bags of 1000 kg and approximately 50 bags of 500 kg per hour.